It is that super fun time of the week ~ the time I get to feature a few of the wonderful posts that linked up to the Real Family Fun Link Party last week. If you didn't get a chance to look through the blogs that linked up, there are some really great ideas, crafts and recipes, so go take a look. I had 40 fabulous posts linked up again this week. Unfortunately, there were quite a few I wanted to feature again this week who forgot to link back to me…boo! I would really appreciate it if you would link back to me when you link up. Thanks so much, it helps to make this a more successful link party and is your little way of thanking me for the time and effort I am putting into this link party. Now on to the features for this week. Please remember to click through to the original source and pin from there. Thanks! First let's start with the most clicked link of the week. Your favorite post of the week was from de Jong Dream House. This is a post after my sweet little eco heart. I have seen these cloth paper towels before. 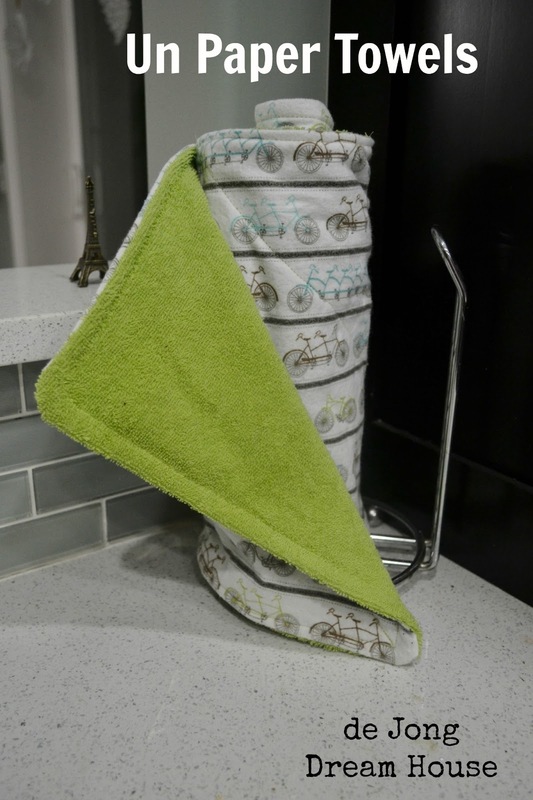 In the post, Unpaper Towels, she shows you a tutorial on how to make your own reusable fabric paper towels that you can roll up and use just like paper towels, except you can wash them and reuse them. Sounds Fantastic! While we are talking about sewing. I love this sewing machine cover Amy made. Don't you just love the ruffle and the cute fabric she picked? I love it! 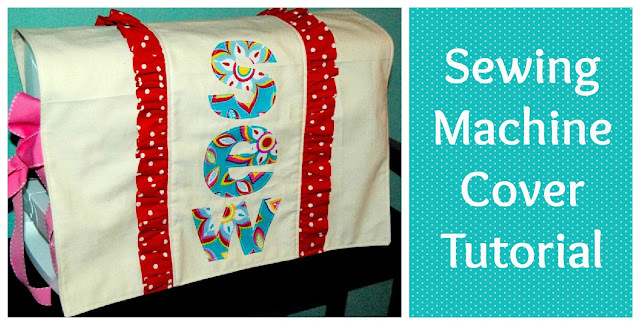 She also gives you a great tutorial on making your own, so you can be a proud owner of your own super cute sewing machine cover! For those of you with younger kids, isn't this the cutest idea? Sarah, used pizza pans to create these adorable magnetic boards. From the looks of the pictures, her kids are ‘eating them up!' 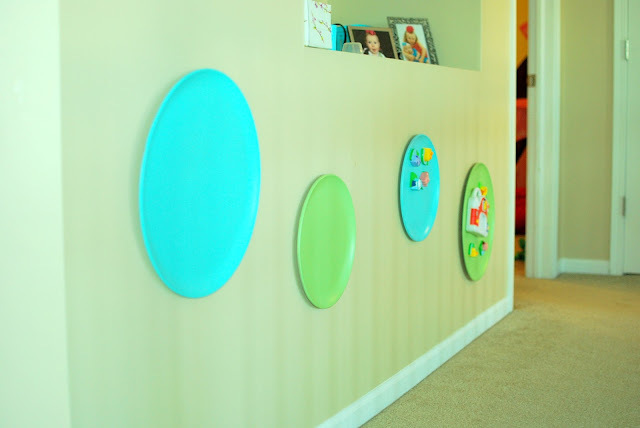 Hehe…they look so cute and add a great pop of color and fun to this wall in their playroom. Another of your favorite posts was from de Jung Dream House. She put together this fantastic printable gallery wall which was inspired by her son's love of reading. She has links to all the printable, so you can go grab your own. 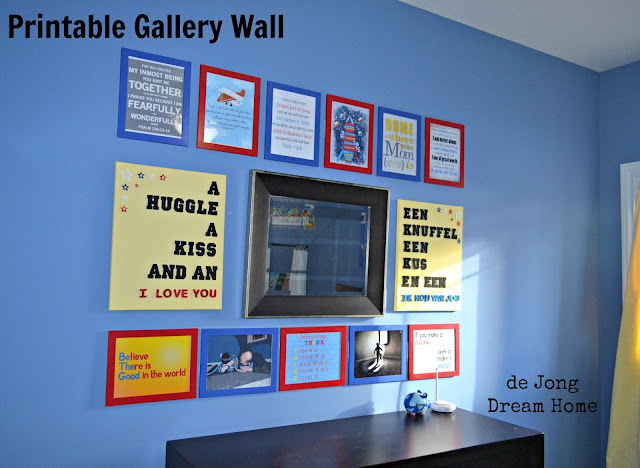 She also shows you how she put this gallery wall together. Well done! Lastly, a little something fun for us grown ups. 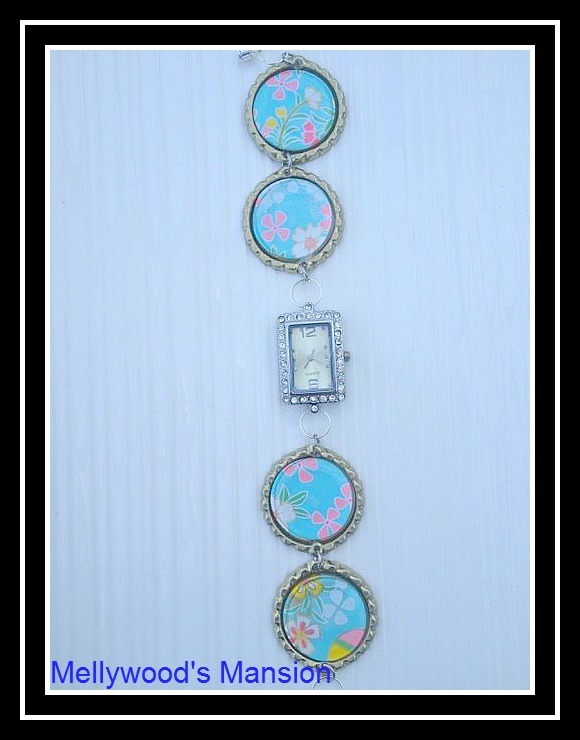 Look at the watch that Mel made…isn't it pretty? Guess what she made it from? Bottle caps and pretty scrapbook paper! I never would have thought to make my own watch, much less use bottle caps and scrapbook paper. Ingenious! Thanks so much to everyone who linked up. If you were featured, please grab a button and proudly display it…you deserve it! 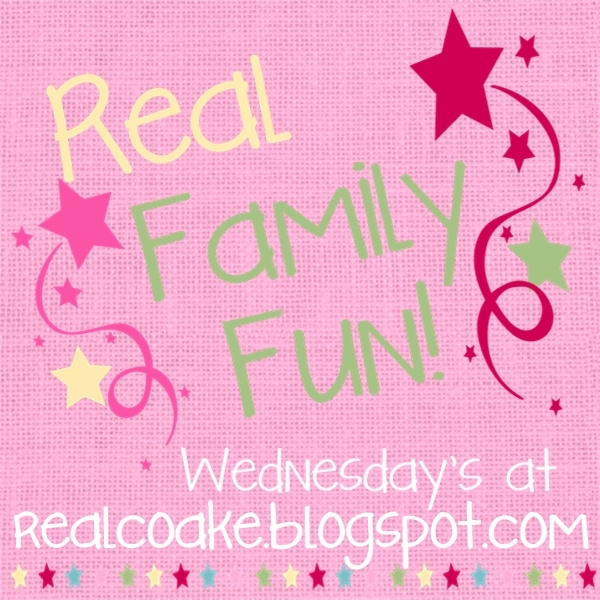 I hope to see you back here tomorrow night at 8 pm EST for the next Real Family Fun link party! Can't wait to see what you have been up to. Yes, they sure are. Thanks for checking them out. Great features! 🙂 Have a terrific day, KC!! Thanks! I hope your day was a great one as well. Thanks for the feature!!! 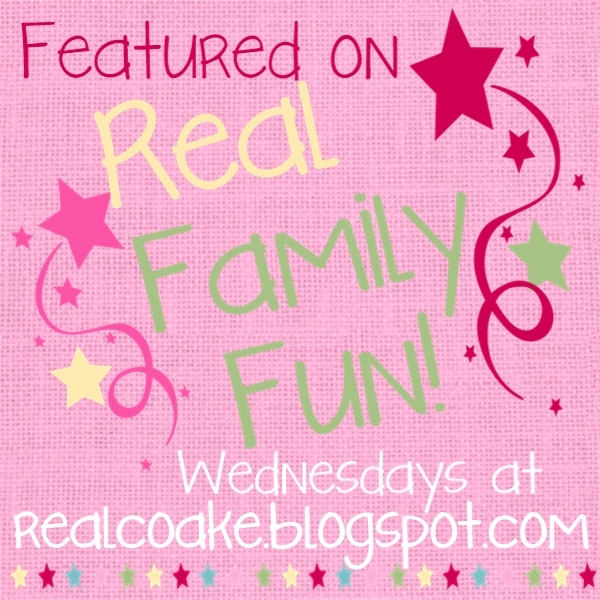 I have another fun kid project for this week!! Can’t wait to share! You are welcome! It is well deserved! I can’t wait to see what you link up this week. Wow, did you ever make my day! Thanks for featuring my unpaper towels and gallery wall! You are welcome! Have a fantastic weekend.